MEXICO CITY (CBS/AP) - A former police officer who allegedly admits ordering 1,500 killings during a campaign of terror as a drug gang chieftain along the U.S. border has been captured in northern Mexico, federal officials said Sunday. 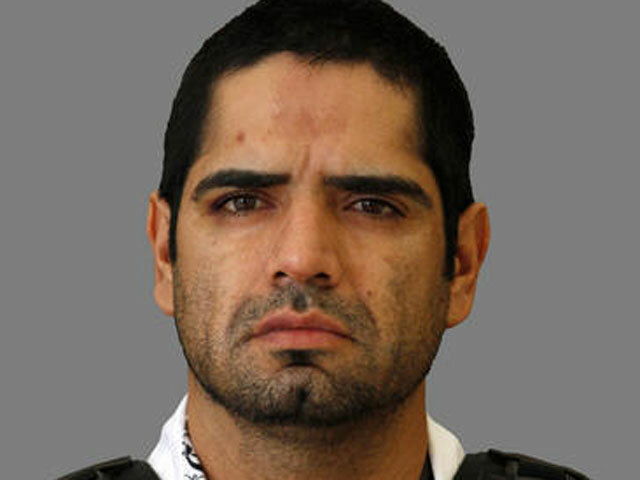 Jose Antonio Acosta Hernandez is also a suspect in last year's slaying of a U.S. consulate employee near a border crossing in Ciudad Juarez. Mexican President Felipe Calderon said through his Twitter account that Acosta's capture is "the biggest blow" to organized crime in Ciudad Juarez since he sent about 5,000 federal police to the city in April 2010 to try to curb violence in one of the world's most dangerous cities. Pequeno said at the news conference that Acosta, nicknamed "El Diego," told federal police he ordered 1,500 killings. Investigators believe he was the mastermind of an attack last year that killed a U.S. consulate employee, her husband and the husband of another consulate worker in Ciudad Juarez, he said. U.S. prosecutors also want to try him in that case. A federal indictment filed in the western district of Texas says Acosta and nine others conspired to kill the three. Pequeno said he expects an extradition request from the U.S. government. A former state police officer, Acosta built a criminal empire, not only leading a gang of contract killers for the Juarez Cartel but also extorting businesses and kidnapping for large ransoms, said Tony Payan, an expert on the drug war at the University of Texas-El Paso. "This is an enforcer and the financial arm of the Juarez Cartel," said Payan, whose research comes from both newspaper accounts and people living in Ciudad Juarez. Payan said Acosta's law enforcement past explains how the cartel could gather intelligence using informants within local police forces. Payan also said Acosta's arrest could reduce the number of murders in Juarez, where more than 3,000 homicides were recorded last year. "He was a very hands-on manager that was practically involved in the management and organization, personally brokering every single activity and every single murder," Payan said. "This may be the break that we have all been waiting for." It may also weaken an already shattered Juarez Cartel, he said. The cartel, allegedly led by Vicente Carrillo Fuentes, has been losing ground to the Sinaloa drug trafficking organization, headed by Joaquin "El Chapo" Guzman in a three-year battle over the border city's smuggling corridors. But Carrillo Fuentes and alleged top lieutenant Juan Pablo Ledezma remain at large.